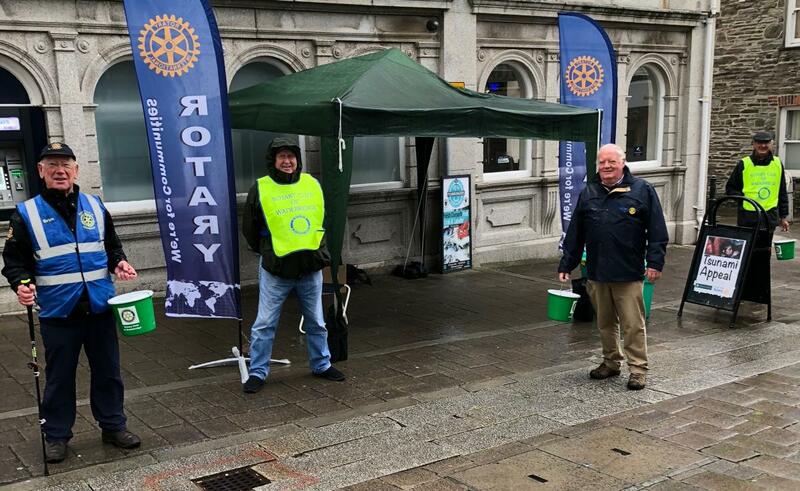 Wadebridge Rotary's street collection for the Indonesian tsunami appeal on 6th October raised around £1,000, the wind and rain on the day deterring neither the Rotarians nor the generous people of Wadebridge. 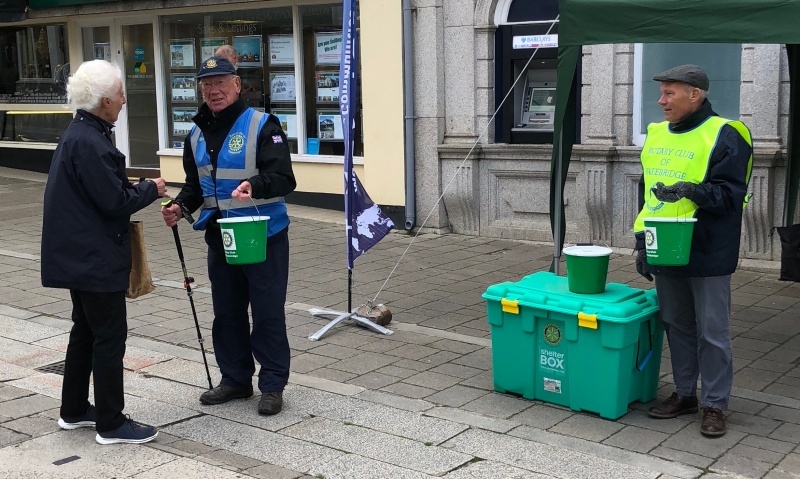 The money will go to Shelterbox, which has a response team on the ground in Indonesia. Click here for a PDF report from Shelter Box. Many thanks to Wadebridge residents and visitors for their generous donations.